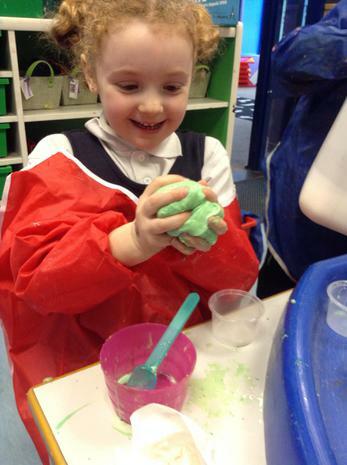 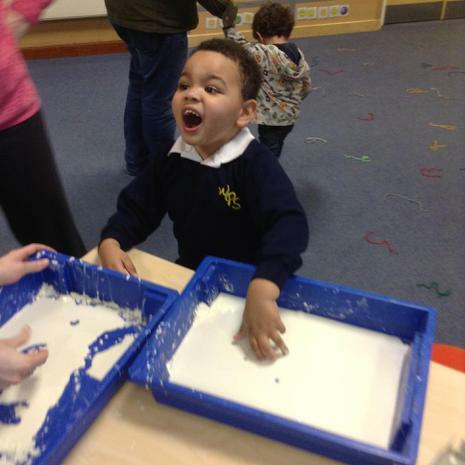 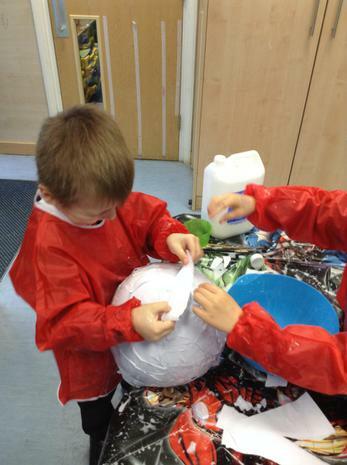 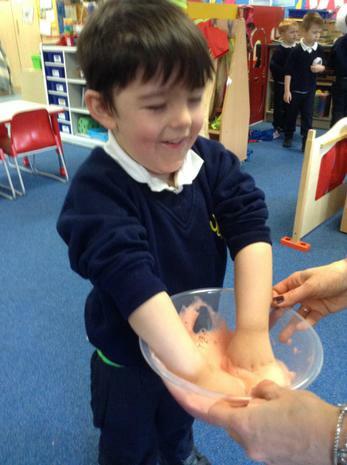 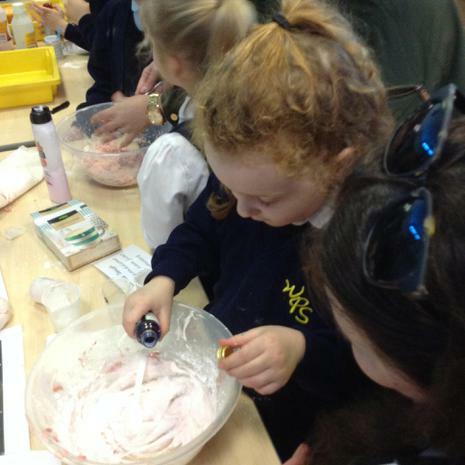 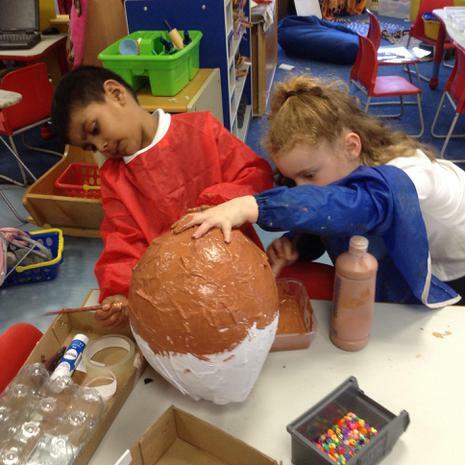 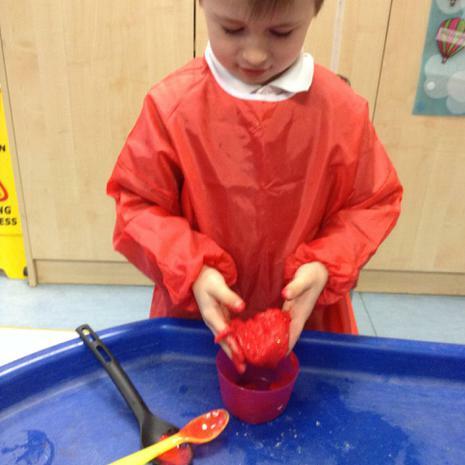 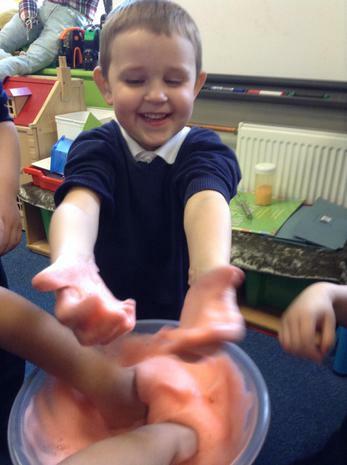 The children have had an amazing time this week investigating changes and getting messy in the process. 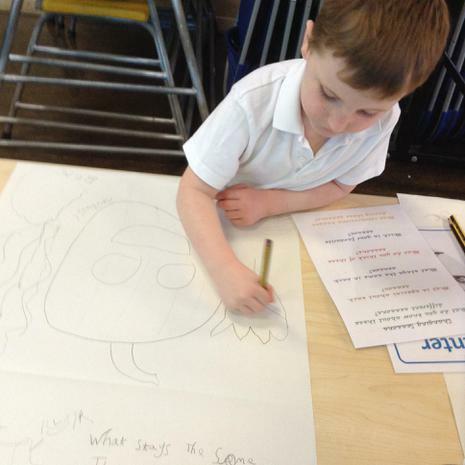 We looked at changes in the weather, in the seasons and in ourselves. 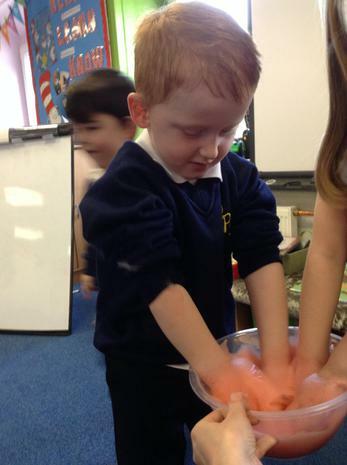 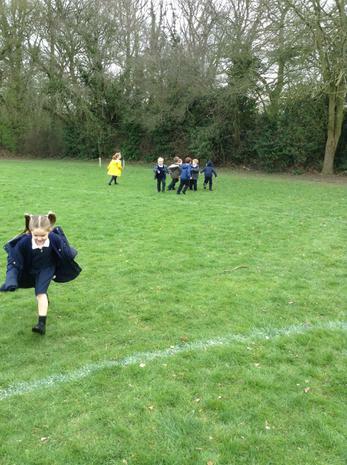 We thought about how we have grown since we were a baby and how our bodies change when we exercise. 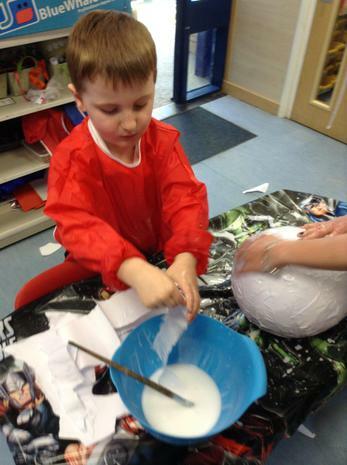 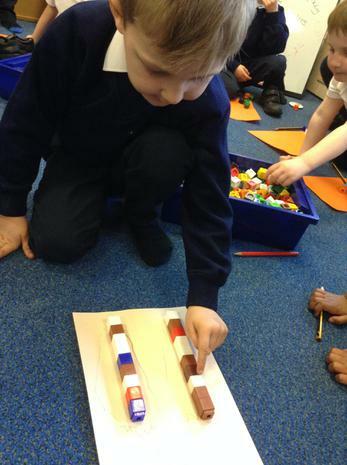 We changed materials by mixing and combining them and enjoyed the results. 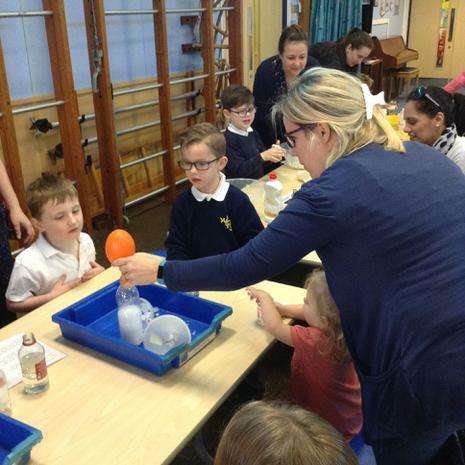 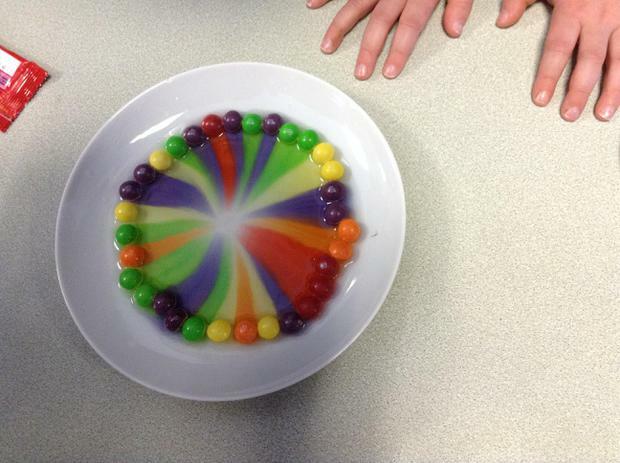 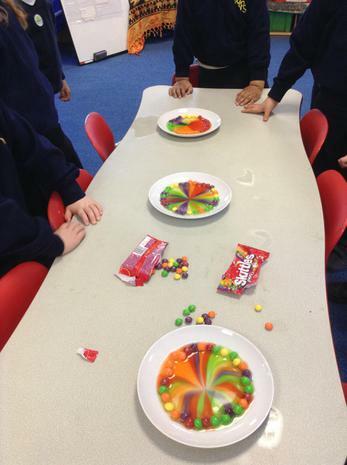 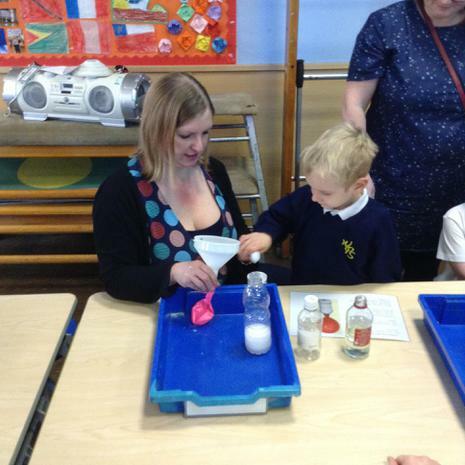 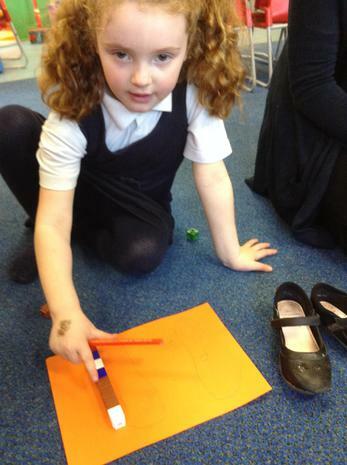 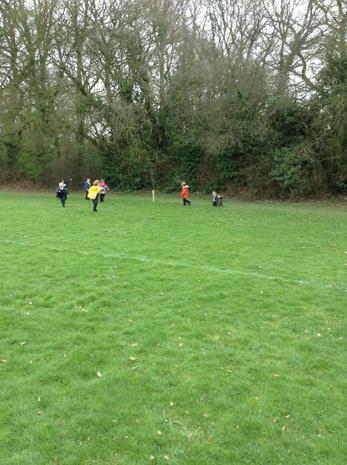 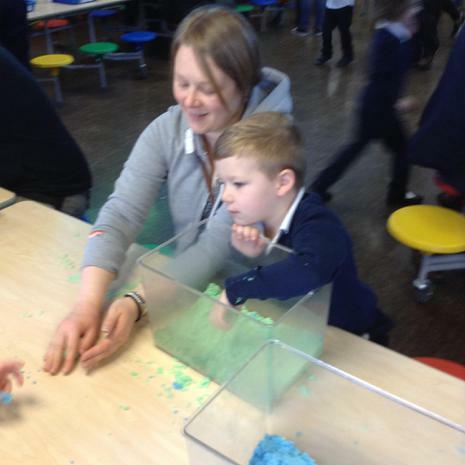 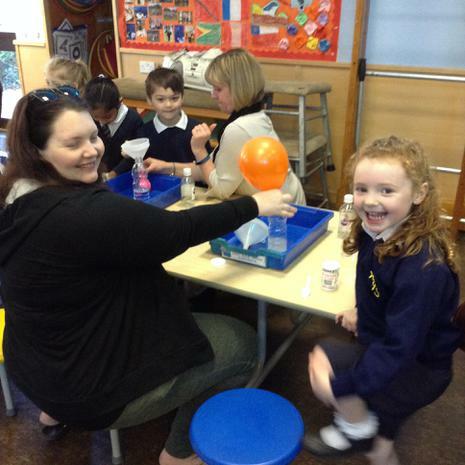 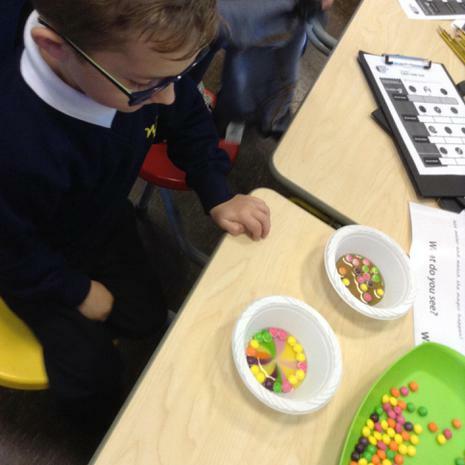 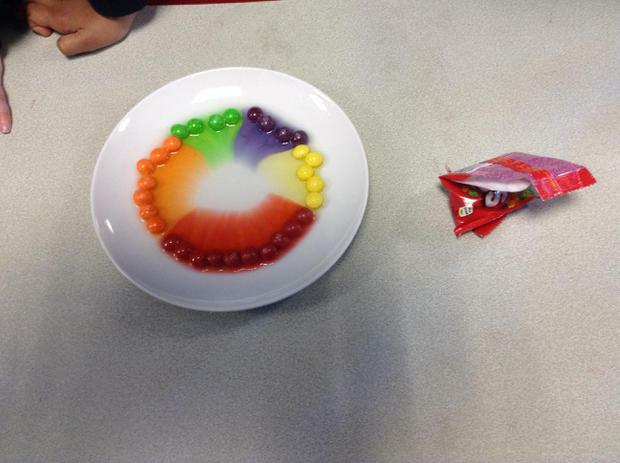 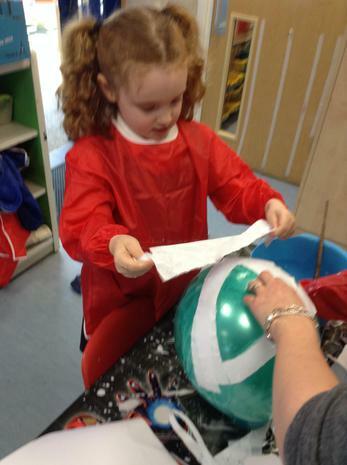 We hope that the parents had a great time during our Science morning in the hall. 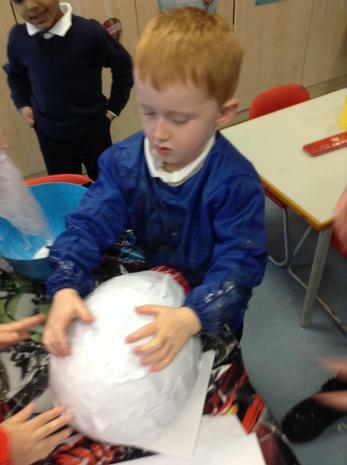 It certainly looked like you'd all had a lot of fun. 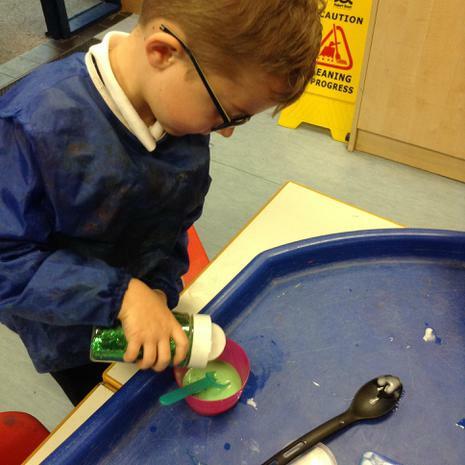 It took us a while to clean up afterwards!!!! 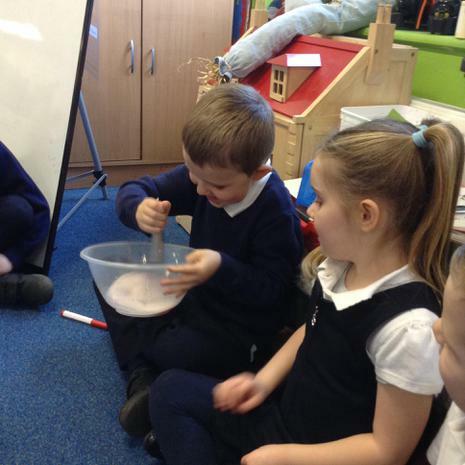 The children have also enjoyed watching their beans grow every day. 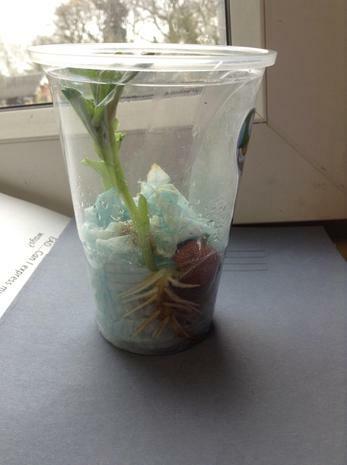 They now have some lovely green shoots and lots of roots. 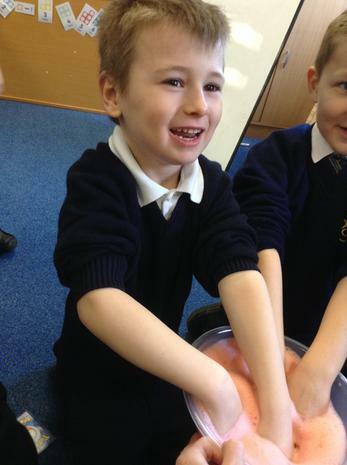 We will be re-planting the beans outside soon and hopefully they will continue to flourish.